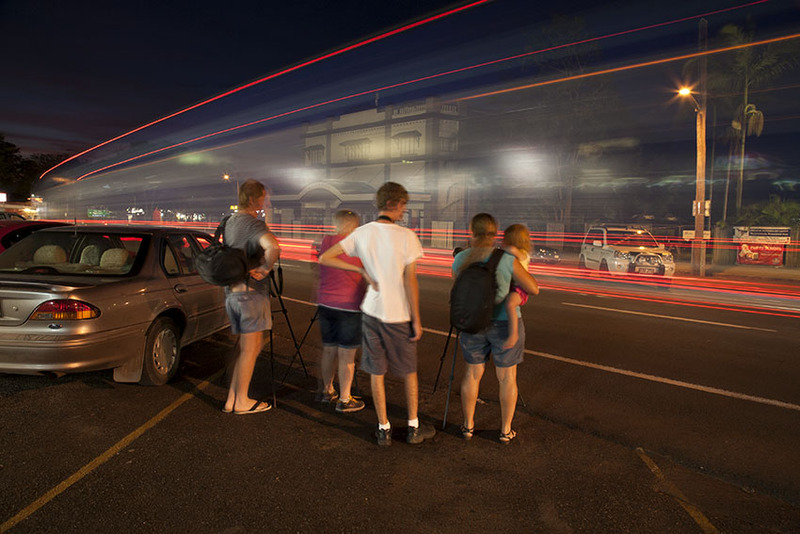 In our past Nocturne Artist in Residency projects in Grafton and Muswellbrook we were the photographers selecting and documenting place in the nocturnal light and then uploading the images of Facebook for community to see and comment. As part of the Queensland Festival of Photography 5 we were approached to undertake an Artist in Residency in the central Queensland’s Wide-Bay Burnett region. Centred on Bundaberg, Childers and local coastal towns, the project included an exhibition of our Nocturne works and a Facebook documentary project. On this occasion we decided to connect with local photographers to collaborate with us in the documentary project. As a preliminary to the project we visited Bundaberg in early January and began initial documentary work. 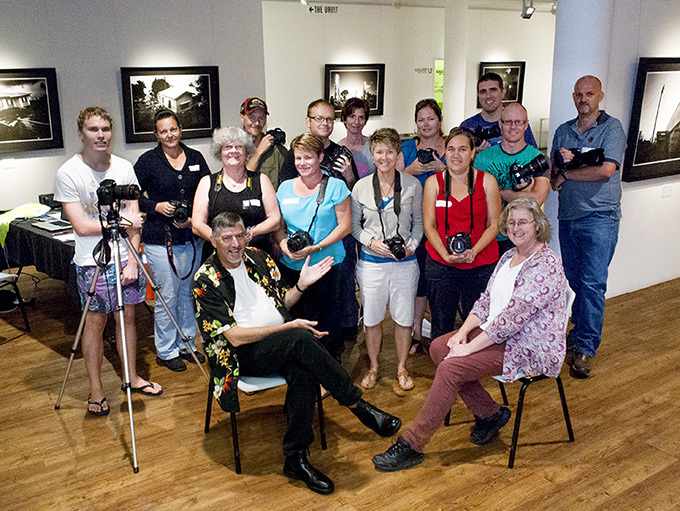 In the 1980s Doug had a significant connection with amateur photographers from the camera club movement in Bundaberg. 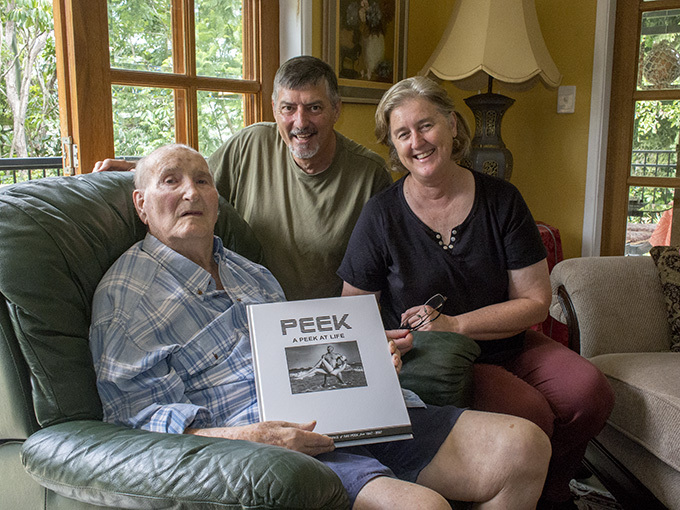 For some time he had contact with the region’s photo guru Ray Peek so a visit to the hero of the Bundaberg’s photography scene was a necessity. 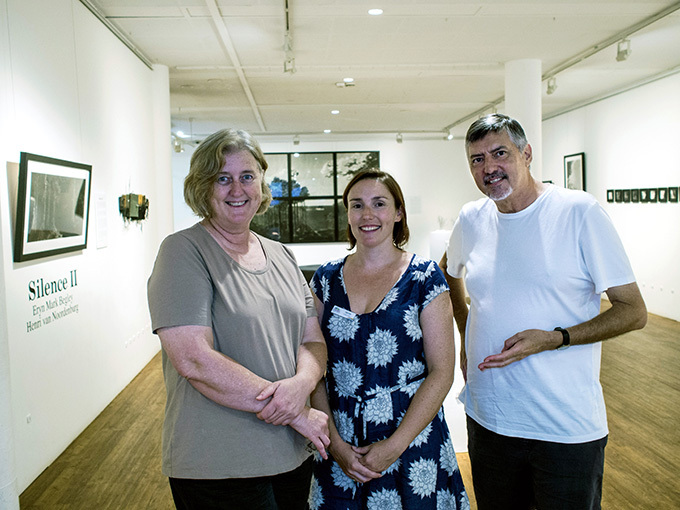 So too was a connection with Shelley Pisani from Creative Regions and key people from the Bundaberg Regional Galleries including exhibitions Officer Trudie Leigo. The Facebook site was established, initial images were uploaded and ‘Page Likes’ attracted. On our return in April we met with the group of Bundy photographers that applied to work with us through a formal Expressions of Interest process. A special Nocturne photography introductory workshop was conducted at which techniques and workflows were discussed and demonstrated. Of particular concern were issues to do with personal safety and security. 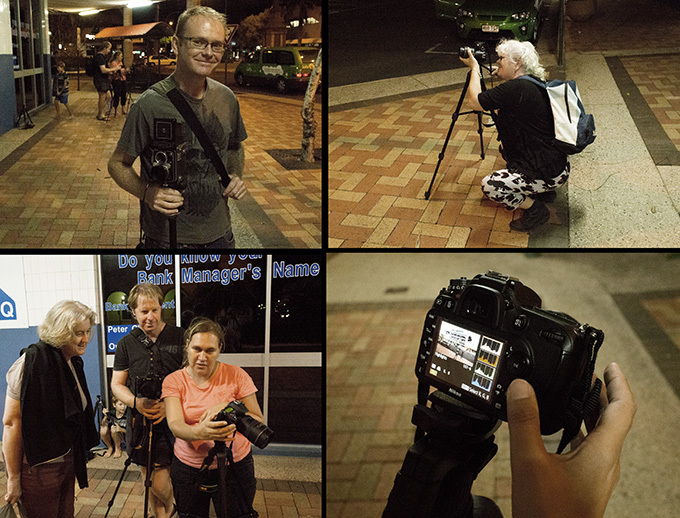 Then the photographers were set loose to shoot subjects of personal interest, optimise them and upload to the Nocturne Bundaberg Region Facebook page. Within a few days the Facebook page had 180 ‘Likes’, numerous comments, shares and 3,500 views. Via an online group photographer participants were provided with support, feedback and mentoring to enhance their photoimaging skills. Although many are accomplished photographers, we were happy to work with those that required assistance or to review work when requested. On Saturday the 12th of April our exhibition ‘Speaking About Place’ was opened at CHARTS gallery in Childers and the Bundaberg Regional community was fully engaged in the project. Over the next few weeks the addition of new photographs will continue and the community will be invited to begin a new dialogue about the region. They will, through the Nocturne Bundaberg Region project, be ‘Speaking About Place’. The project will continue as a Facebook page and from this community resource may emerge exhibitions, books and other online opportunities. 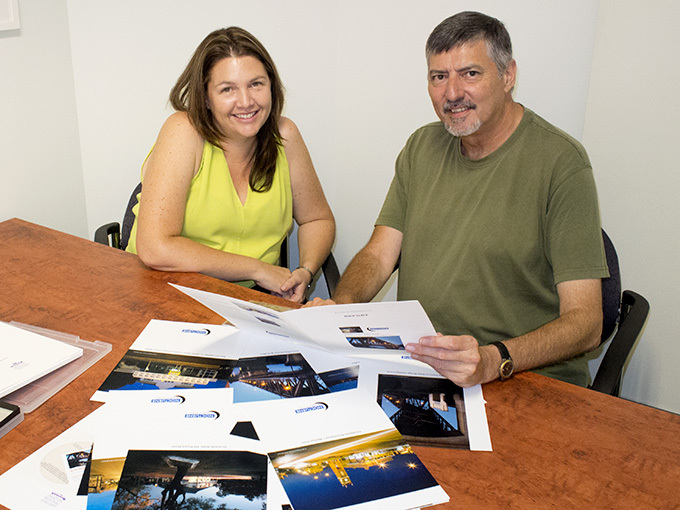 It is envisaged that many of the local photographers will make available images to the ‘Picture Bundaberg’ Archive, which is administered by the Bundaberg Regional Libraries. Speaking About Place – an exhibition of collected images from The Nocturne Projects from Muswellbrook to Grafton as well as images from the Bundaberg region. Nocturne Projects showcase a variety of photographs highlighting the beauty of the early evening and its nocturnal light. Speaking About Place will be on show at the Childers Art Space (CHARTS) on Saturday 12 April in conjunction with the Queensland Festival of Photography 5. Toowoomba-based photographers Doug Spowart and Victoria Cooper work in the early evening’s nocturnal light, a time of day where the afterglow of sunset and the glow of streetlights transform the everyday experience of place into something magical. Photographs created at this time require long camera exposures and therefore produce images that can capture blurred movement of people and vehicles. “An important aspect of the Nocturne aesthetic is the affect of colour in different light conditions: ambient daylight, artificial lighting, car head and tail light trails. These images create a sense of drama, something that you’d generally see in a setting for a movie scene. It’s a place where stories could be told or evoked” Mr Spowart explained. Spowart and Cooper initially visited Bundaberg early January to commence stage one of their Artist in Residence at the Bundaberg Regional Gallery. As part of the Speaking About Place exhibition, Nocturne Project: Bundaberg Region has selected 21 photographers from across the region to work alongside Spowart and Cooper through April. 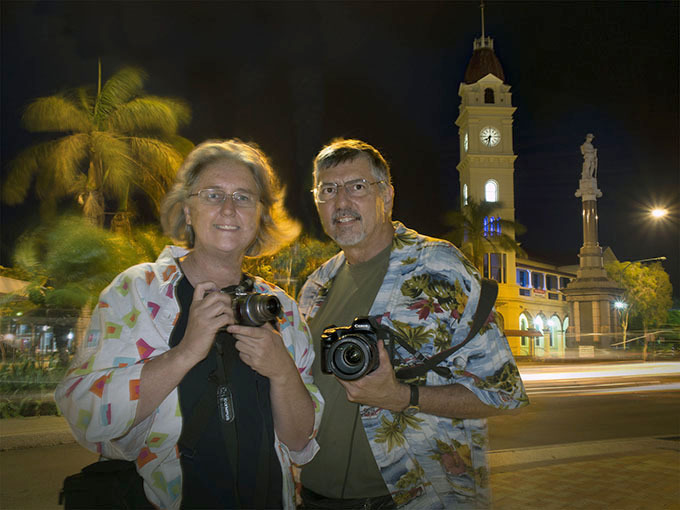 Photographers will have the opportunity to gain invaluable nocturnal photography skills from two leading artists. After the initial capture the artists select and optimize images that are then posted on social media sites like Facebook. Selected images will also be digitally displayed during the Speaking About Place exhibition. “If a picture is worth a thousand words, how do you gather the thousand words from a community by showing them pictures of where they live? We aim to extend the experience and ultimately perception of place in the Bundaberg region. These are just some of the questions we’ll be exploring with the local photographers” Ms Cooper said. Speaking About Place will be officially opened by the artists Doug Spowart and Victoria Cooper on Saturday 12 April at 2:00pm at Childers Art Space (CHARTS).